Kidd Family Auctions kicks off their 2019 auction year with over 340 lots of collectibles selling on January 5th, 2019. 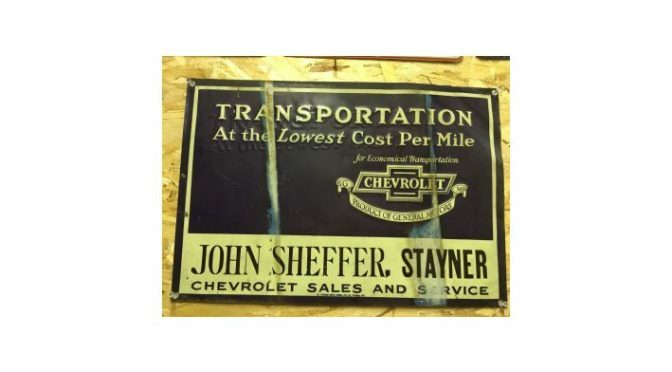 They are offering tin and porcelain signs, gas and oil tins, mini oilers, and tin and cast vintage toys. They have brands such as Coke, Pepsi, Maple Leaf, Texaco, Castrol, Irving, John Deere, Gulf, Ford, Good Year, Penzoil, and whole lot more. Bidding is available in the online catalog right up to auction day; with live bidding kicking off at 9am Eastern Time. Kidd Family Auctions mission is to bring serious bidders together to compete for the seller’s merchandise ensuring a fair market value. Nothing is too small or too large for their auctions, and their focus isn’t on the sale alone. It’s on the customer’s needs and they are always there to help with services above and beyond auctioneering. Over the last 2 years they have become one of the premier auctioneers of firearms in Canada and have continued to offer great estate and collectible sales to deliver value for everyone involved in the auction process. Kidd Family Auction add value to their online bidders with an audio and video feed so they feel like they are on the auction site as part of the action. They have fantastic staff and are pleased to answer questions on anything leading up to the auction. 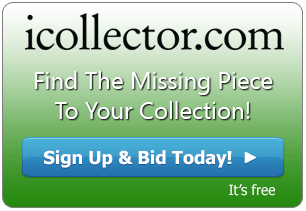 The auction starts at 9AM Eastern Time on Saturday January 5th, 2019 with full bidding available on iCollector.com via any computer or mobile device.